Sharkey Waste Recycling Ltd (registered as Athchúrsáil Dramhaíola Uí Shearcaigh Teoranta), based at Bunaman, Annagry, County Donegal, is a family business, and has been collecting household and commercial waste from households and commercial premises since 1969. The service includes a full recycling collection every second week. Customers can avail of our waste collection service covering West and Northwest Donegal. With recycling being of paramount importance, Sharkey Waste is a member of Repak, and is contributing to the improvement in the Irish environment by offering a recycling service to all of its customers. Sharkey Waste collects general waste and recycle waste on alternative weeks according to this calendar. 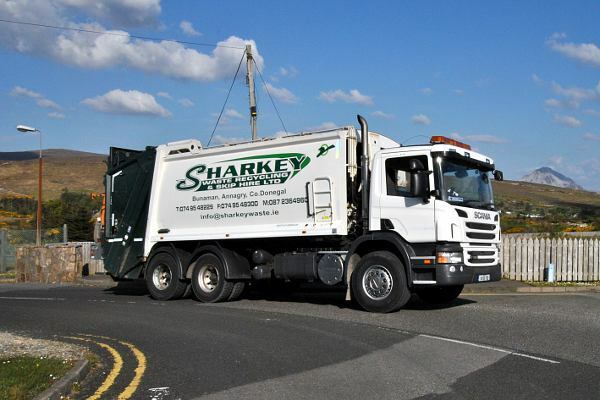 Sharkey Waste are members of the IWMA (Irish Waste Management Association).